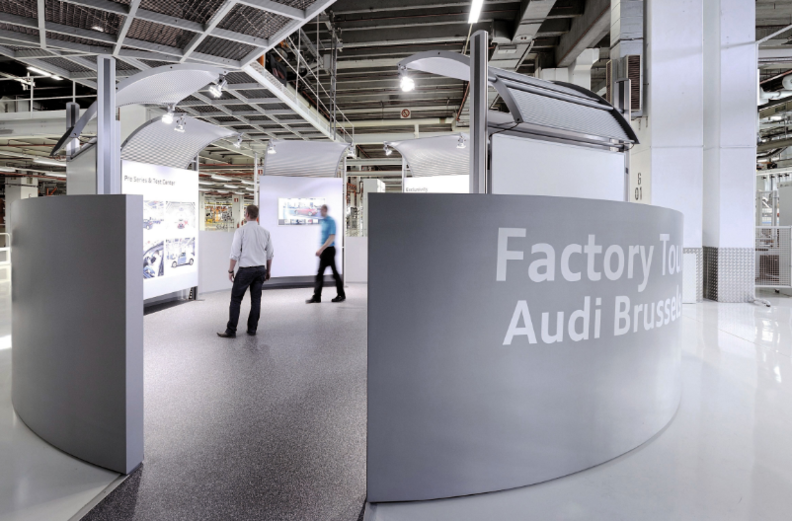 Security has been stepped up at Audi's Brussels factory, which employs about 2,500 workers. Volkswagen Group's Audi unit has stopped production at its factory in Brussels following terror attacks in the city. Audi told the 1,100 late shift staff to stay at home today as the city remains in lockdown following attacks at Brussels airport and a metro train station that left at least 30 people dead and scores injured. "So far the early shift for tomorrow has not been called off," an Audi spokesman said, adding however this can change depending on events and police advice. The late shift was scheduled to build about 250 units of Audi’s A1 subcompact car, a number that the brand fully expects can be recovered later. The former VW Golf plant is in the southern Brussels residential district of Forest, on the opposite side of the city to the Zaventem Airport that was the epicenter of the attacks. However Forest was the scene of a deadly shoot-out only a few street blocks from the plant between suspects linked to the Paris attacks in November and French and Belgian security forces. So far there is no indication suggesting any Audi employees were among casualties of today's attacks. "There is nothing known in this regard," the spokesman said. Belgium has raised its terrorism threat assessment to its highest level and transportation in and around the city has come to a standstill as authorities have warned people not to leave their homes. Belgian utility Electrabel tweeted that employees at its aging Tihange nuclear power plant close to the German city of Aachen have been evacuated. Audi said security had been stepped up at the Brussels factory, which employs about 2,500 workers.